Many paths lead to happiness, but only the 160 escorts you there in style and comfort for such an impressive value. Towing the 160 is a breeze, as is operation and upkeep. 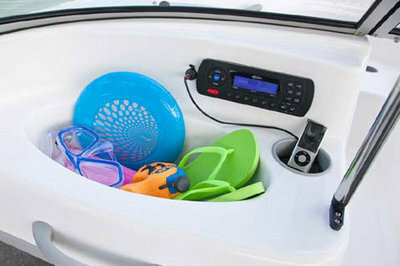 Abundant storage, a spacious cockpit and remarkable performance make it a hit with families seeking the benefits and fun of fiberglass boating on a reasonable budget. 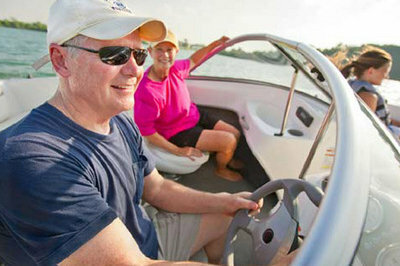 Continue reading for more information on the Bayliner 160 Bowrider. • Its lightweight design and included trailer make the 160 an easily towable and launchable craft. 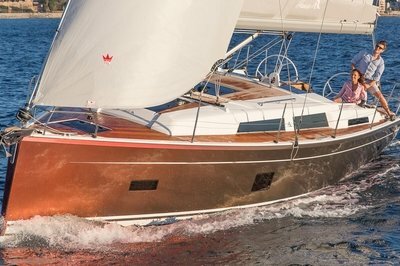 • The 160’s beam-forward design creates more room in the bow for passengers and under-seat storage. Grab handles and textured bow steps ensure safety. 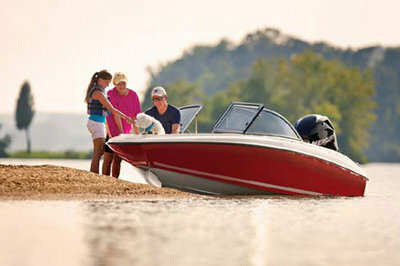 • Standard 60hp Mercury power adds fuel efficiency and convenience. Engine options boost horsepower to 90. • The starboard swim ladder is extra long for easy boarding. • Bayliner’s signature black hullside gelcoat comes standard on the 160 Outboard.